There are currently two (two!!!) dueling documentaries right now about the disastrous Fyre Festival. 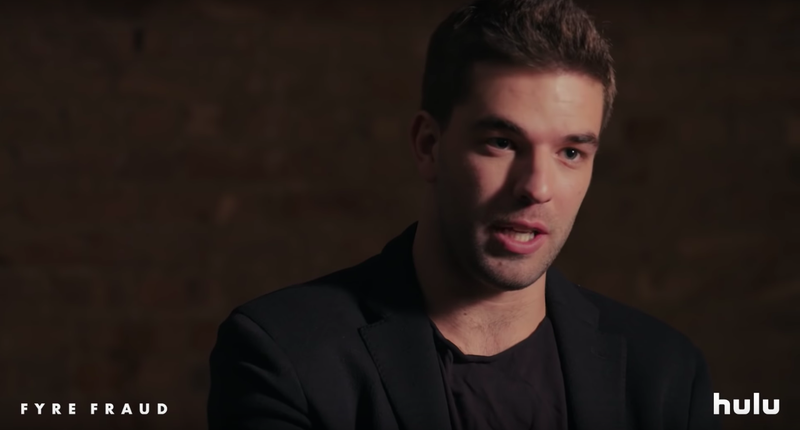 Yesterday, just days before Netflix could drop their Fyre documentary directed by Chris Smith, Hulu decided to surprise drop their own called Fyre Fraud. How deliciously petty of them! I’ve only seen Netflix’s documentary, which I loved, and it seems on the surface level that the projects are similar in terms of interviewees and conclusions. Except, the Hulu documentary has an interview with founder Billy McFarland and the Netflix one does not. That’s quite a big get until you realize Hulu paid to get McFarland on board. This is bad! Any journalist knows it is deeply unethical to pay a source or subject for an interview, no matter the medium. Furst points out as a counterpoint to The Ringer that Netflix’s Fyre film was produced in partnership with Jerry Media (a.k.a. FuckJerry) and the advertising company Matte Projects, two companies who were involved in putting on the festival. That means Netflix’s project isn’t squeaky clean either, though they say that the companies’ involvement did not restrict negative coverage of said companies. But when you consider that McFarland, the villain of both productions and a massive scammer who made not just wealthy investors and attendees suffer emotionally and financially, but also the construction workers and cooks of the Great Exumas who had to clean up (literally) after his mess, the payout from Hulu is arguably grosser. He’s advertised as the centerpiece to their film and they paid him to be there. Either way, I am overjoyed that the Fyre drama has extended to the documentaries made about it. May we always be this blessed!